Mechanical bartenders with the skill set of Dale DeGroff poured 3,000 cocktails, including stirred Martinis and boozy Mai Tais. 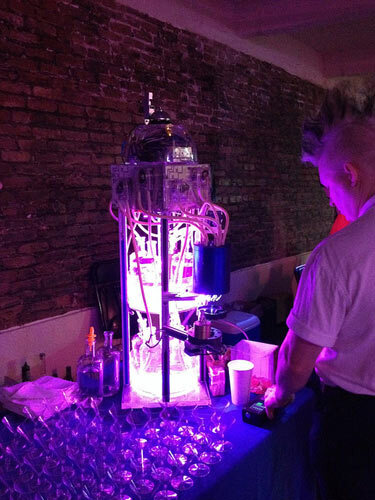 At the 2013 BarBot event held in San Francisco last weekend, robots—not humans—were pouring cocktails for guests. 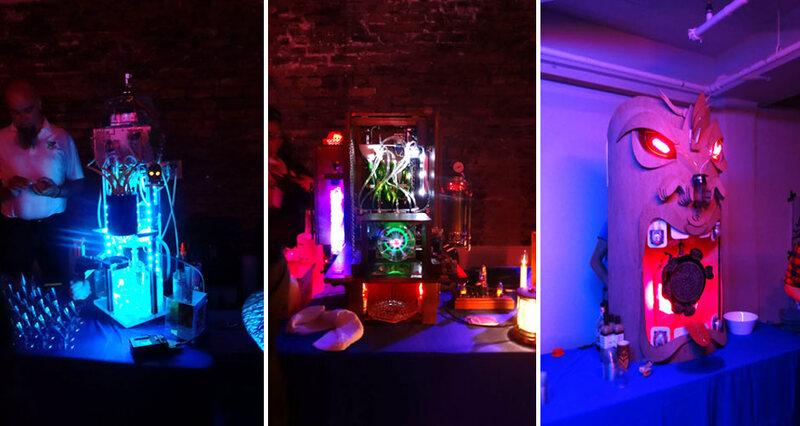 Yes, mechanical bartenders with the skill set of Dale DeGroff poured 3,000 cocktails, including stirred Martinis and boozy Mai Tais, reports Gizmodo. 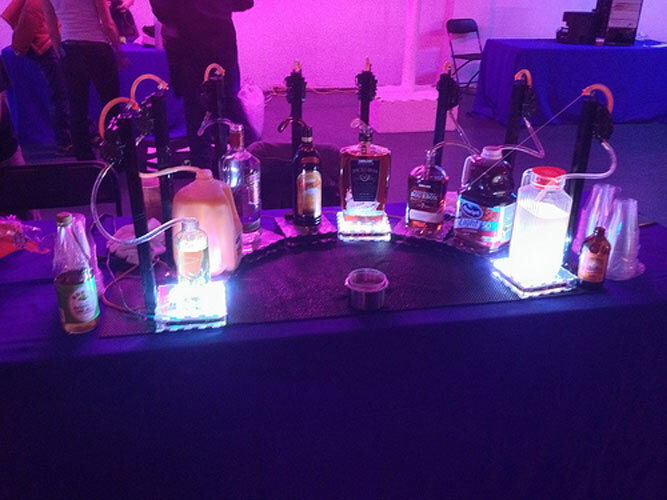 BarBot is an annual fundraising event put on by the Robotics Society of America, a non-profit organization promoting “technology, education, and mathematics through the vehicle of robotics events,” the event’s director told Gizmodo. The RSA was founded in 1978, and is responsible for the Battle Bots TV show which came out in the late 1990s. The event draws everyone from former Battlebot world champions, to IBM researchers, to undergraduate engineering students. The bartending robots included the “Drink Drink Revolution,” which judged your dancing skills and served you a drink thematically appropriate to your dance style. 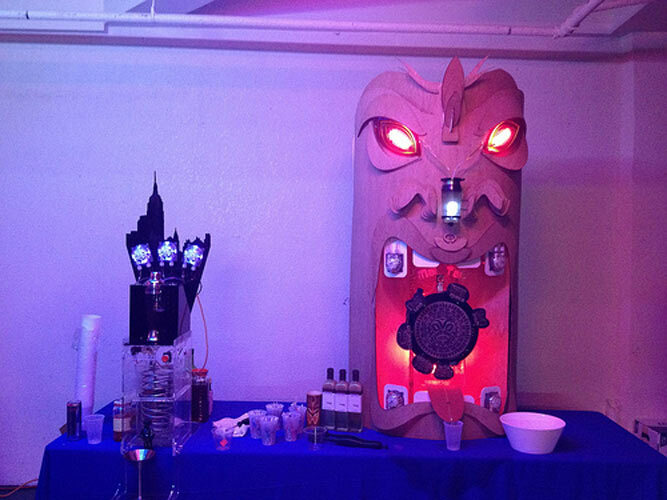 Another bot mixed Mai Tais and dispensed them out of a tiki head. 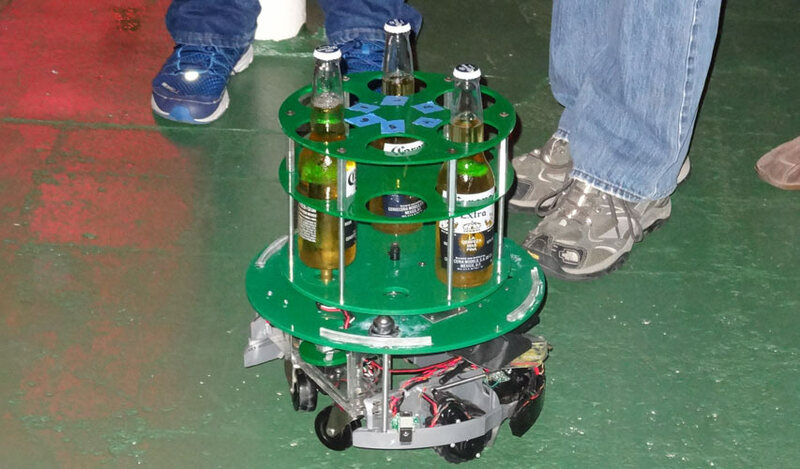 While most of the robots built specifically for the event were fixed to tables, a few traveled the exhibition hall offering drinks to passing patrons. 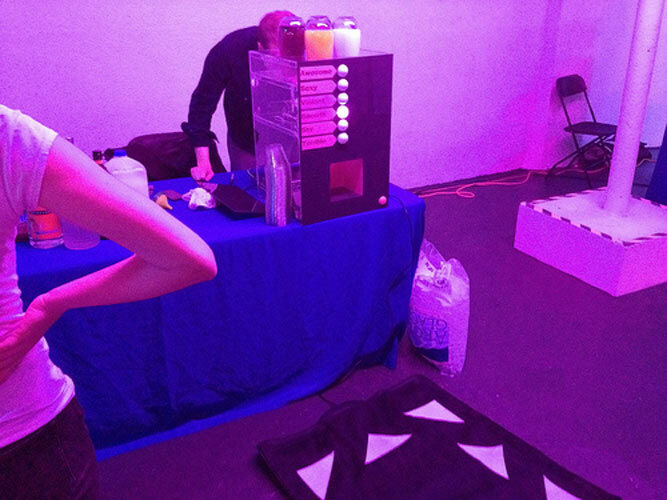 The next BarBot will be in Spring 2014. 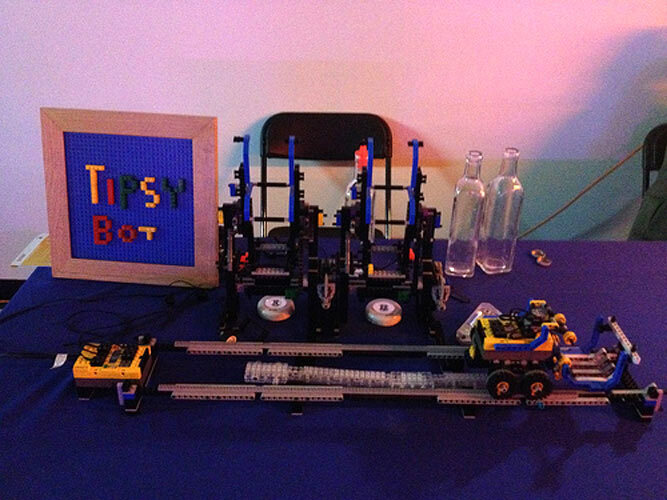 You can check the BarBot website periodically to find out more information. 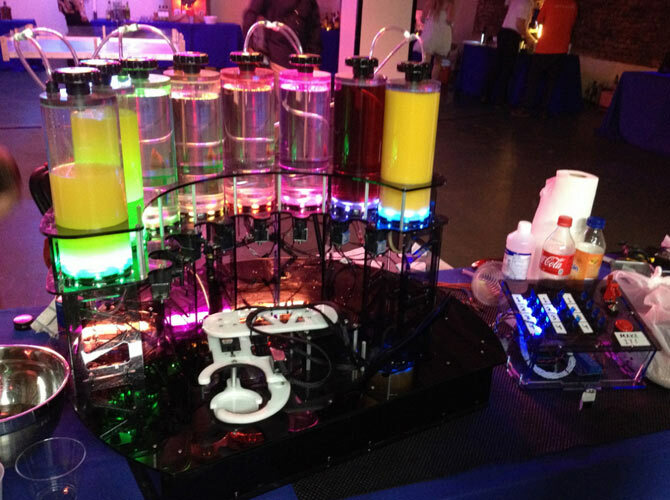 Click through the gallery to see the impressive bartending robots featured at the 2013 BarBot event. 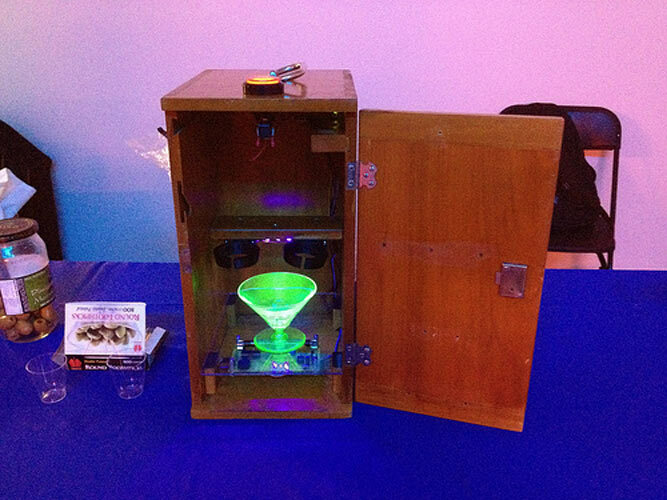 Then watch the video below to see the Manhattan-making robot that Inertia-Labs presented at the event (take note of the LED ice cubes).